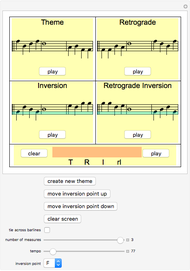 The aesthetic success of all music lies in the constant unfolding of novelty versus familiarity. Is the next moment refreshingly surprising, but not too unexpected? 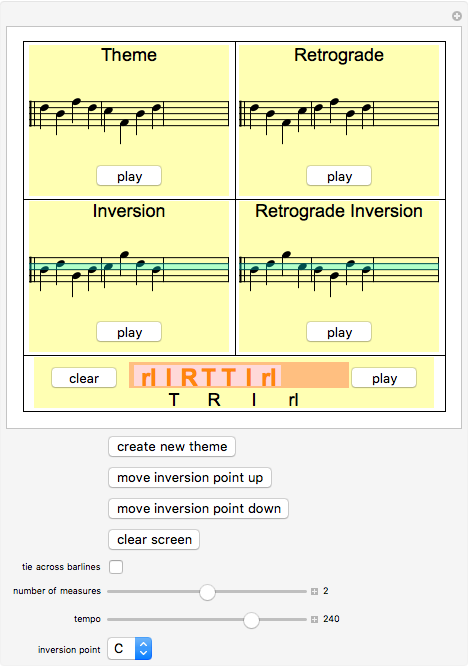 A common compositional device that guarantees such success is to play an existing theme backwards ("retrograde") or upside down ("inversion"). In both cases the listener is assured of hearing familiar material presented in a new, novel way. 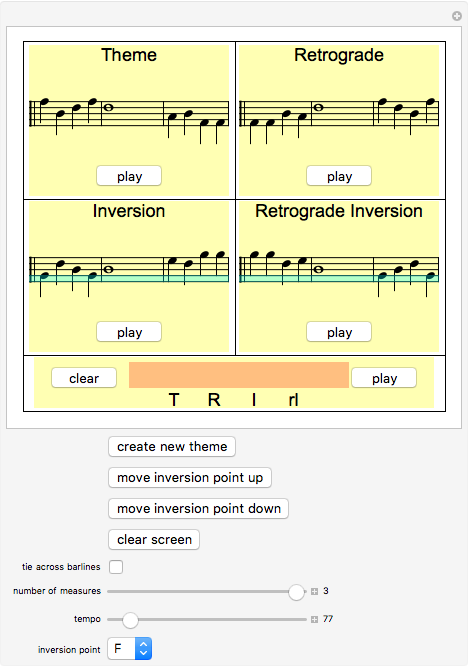 After hitting the "create new theme" button, listen to the retrograde, inversion and retrograde-inversion variations. 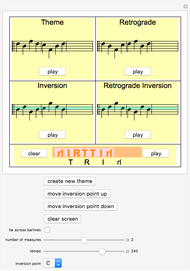 You can then string them together in any order you choose by dragging the T, R, I, rI icons into the orange rectangle. 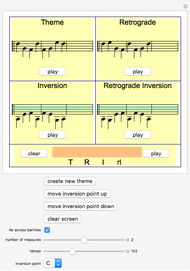 The "tie across bar lines" option adds another level of "same but different" quality to your composition. John Kiehl "Same but Different"